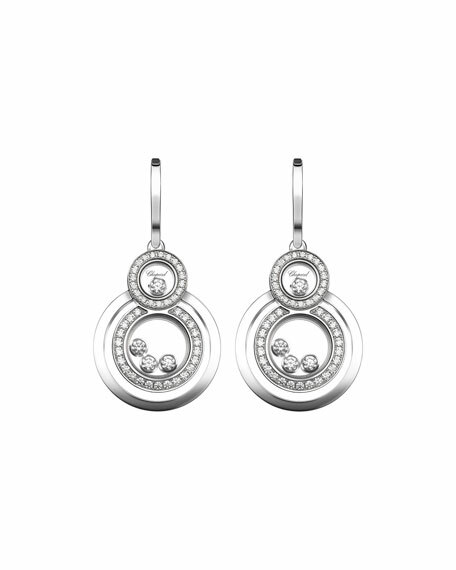 Chopard Happy 8 earrings from Happy Diamonds Collection. 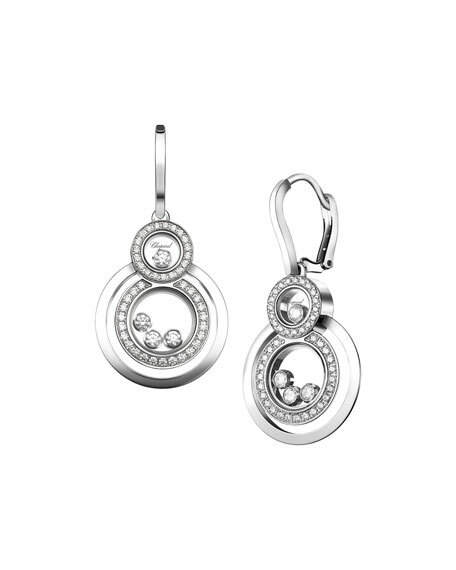 Stacked circle drops with pavé diamonds and floating diamond bezels. 0.87 total diamond carat weight. For in-store inquiries, use sku #464647.